PolitiFact Check: Would The U.S. Run Out Of Avocados If The Mexico Border Is Closed? 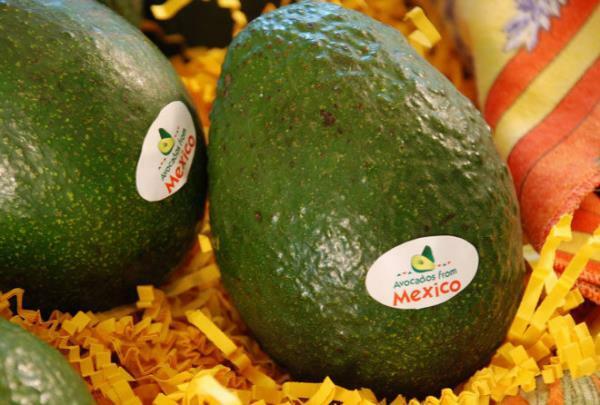 Avocados are just one of many foods America imports from Mexico. But with worries about a possible border closure this week, news outlets whipped up fears that this high-demand fruit could run out. The U.S. gets more than 40 percent of its fruits and vegetables from Mexico. But news outlets and late night comedians focused mainly on the fate of one creamy green fruit. Is that really true? What about California’s avocado growers? Couldn’t they step in and replace the lost supply? UC Davis ag economist Dan Sumner says America now imports 80 percent of its avocados, most of them from Mexico. California, which once provided a much larger share, contributes less that 20 percent. Sumner agreed that most avocados would run out in a matter of weeks, though not all. Prices would spike, he says, and there would probably be some very expensive avocados left over. In the end, the news headlines and even the comedians got this one just about right. PolitiFact Check: Did Undocumented Immigrants Kill 1,800 Americans Last Year? Sacramento-area Congressman Tom McClintock recently made an eye-opening claim about the number of Americans killed by undocumented immigrants, as he defended President Trump's efforts to build a border wall. Capital Public Radio's PolitiFact reporter Chris Nichols fact-checked the Republican congressman's statement. The mayors of San Diego and Tijuana, Mexico signed an agreement yesterday (Monday) reaffirming the partnership between the two border cities. KVCR's Ken Vincent has more.